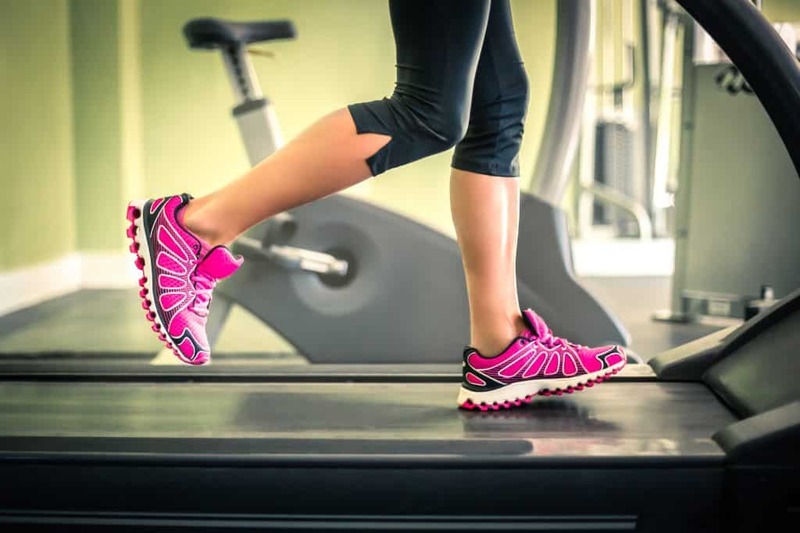 Buying a treadmill is one of the best investments you can make when acquiring an item of fitness equipment for your home gym. But which one should you get? Should you go cheaper or splash out more on your new purchase? It’s true that there are a variety of makes and models out there, and it’s best to do your research so you can choose the one most suited to you and your needs. Here’s some top choice of treadmills on the market now for your home gym. A workout on the Z-Jet 430 boasts all the options you need for an effective yet tough fitness regime. It features 12 levels of resistance and has a top speed of 16km/h and 24 preset workouts. You can connect another device to it via Bluetooth and sync it up with your Reebok Fitness app to record all your training sessions. This makes it super easy to track your progress. For those who like a distraction on the treadmill, the Z-Jet 430 features a ridge to place a phone or tablet on so that videos can be watched or apps can be used while you run. The NordicTrack Commercial 1750 is one of the bestselling treadmill ranges for those looking to equip a home gym. One of the mass appeals is that it suits those that walk or run to keep fit. The NordicTrack Commercial 1750 features many of NordicTrack’s premier features such as a 3.6 CHP motor and an incline/decline function. It has a touchscreen HD display and Android browser. It also features an array of apps that also offers an iFit Coach option. The 1750 model comes with the brand’s WhisperQuiet design, which muffles the sound of steps on the conveyor belt with running or walking on it. The apps are categorized into calorie burn, cardio training, endurance, and speed. Prices vary at around ?2,000. The Kettler Arena is ideal if you’re recovering from a sports injury or embarking on a new fitness regime. It’s also great if you have not worked out for a long time and are easing your way back into it. What’s key here is the lowest speed available, rather than the highest. This treadmill can be set to just 0.3km/h, which the maker says is the lowest starting speed on the market. However, if speed is what you’re looking for too, the Kettler Arena offers a maximum speed of 18km/h. It also has seven preset HIIT workouts for those looking to take on a higher challenge. Like many others on the market, this brand takes entertainment into consideration as well. The Arena has stereo Bluetooth speakers included which means you can blast out music to keep you going on your run. The Life Fitness T3: Track or Go offers two options when it comes to the console. You can download workouts and link the machine to apps like Apple Health, giving you a multi-faceted option for your home gym. The price goes up by ?200 more if you opt for the model’s Go console, which features a plethora of built-in workouts. This machine boasts an excellently smooth run at whatever speed you’re running to. It also has a FlexDeck surface that is meant to be 30% easier on your joints than other treadmills on the market, according to Life Fitness. The T3 has room for four profiles on the console and so this is an excellent option if more than one person uses your home gym. The idea behind the MYRUN Technogym Treadmill is that it hones in on your personal improvement as a runner. Featuring a series of personalized training programmes and the MYRUN RUNNING RATE option, the user is encouraged to maintain a certain speed while taking more steps. As a result, this improves the efficiency of your work out. There’s a corresponding MYRUN app and the machine even hand-picks music that slots in with the step rate of your run. This machine will also start up automatically when you step onto the belt. You can also design favorite outdoor runs once you’ve recorded them with the app and replicate these on the machine in your home gym. The machine also looks great and adds an element of style to your home gym. This model is on the lower end of the price brackets for home gym treadmills. The York Fitness Active 120 has an incline range of 1-12% and a top speed of 16km/h and prides itself on being robust and secure yet affordable. After using it, it folds up neatly to save space. It features 13 built-in workout functions and a fantastically clear and concise console which will display your stats. The belt is shorter and slimmer than many others on the market which is beneficial for those with longer limbs. Another folding model, the JLL S300 DigitalTreadmill again features incline options. The options on this model go to 20 levels. The speed range goes up to 16km/h and it features 15 programmes for runners. On the handles, there are heart rate sensors too. The track is short in length which is actually is a down side for taller users when it comes to sprinting. This too folds away though, creating another perk for this treadmill. A home gym covers all the basic fitness equipment in one. If you love to workout, doing so at home can improve your fitness and improve muscle tone. It’s therefore best to select the best equipment. And what better way to start than by getting a new treadmill for 2018. Browse our site for guides on the best equipment on the market, as well as exercise tips and much more.